Is there a better alternative to Simply Fortran? Is Simply Fortran really the best app in Developer category? Will Simply Fortran work good on macOS 10.13.4? 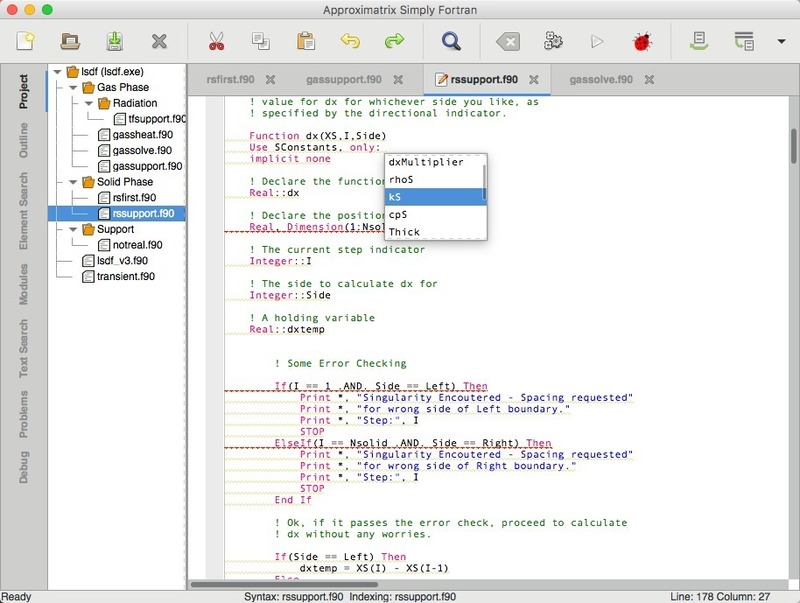 Simply Fortran is a complete Fortran solution for Apple macOS. 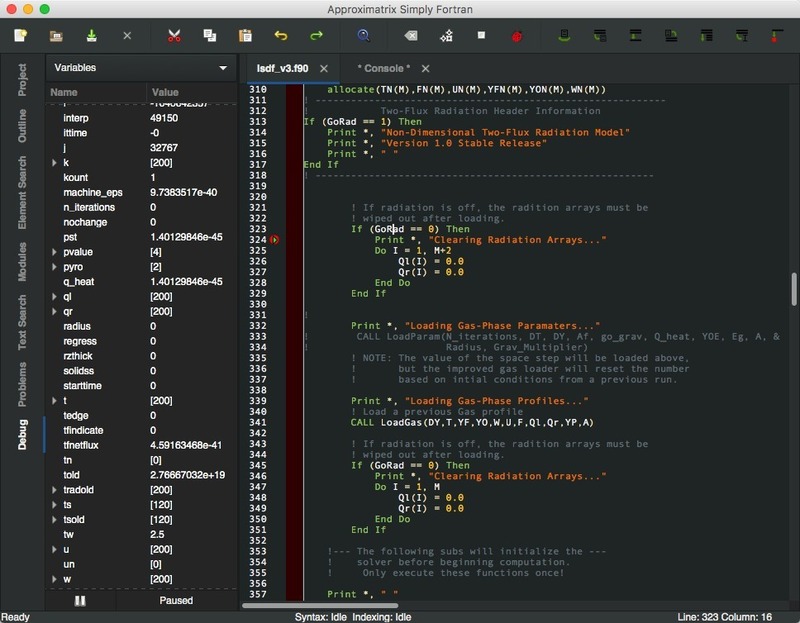 Designed from the beginning for the Fortran language, Simply Fortran delivers a reliable Fortran compiler with all the necessary productivity tools that professionals expect. 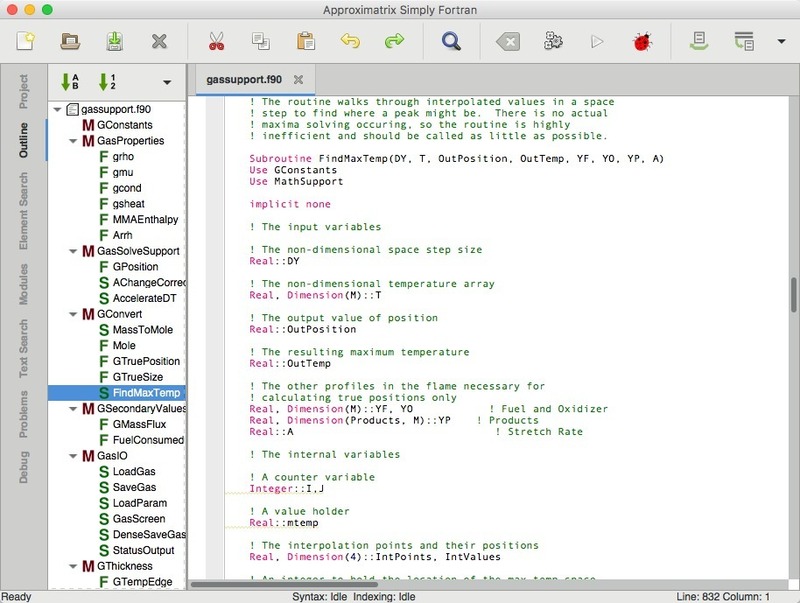 The Simply Fortran package includes a configured Fortran compiler, an integrated development environment, including an integrated debugger, and a collection of other development necessities. 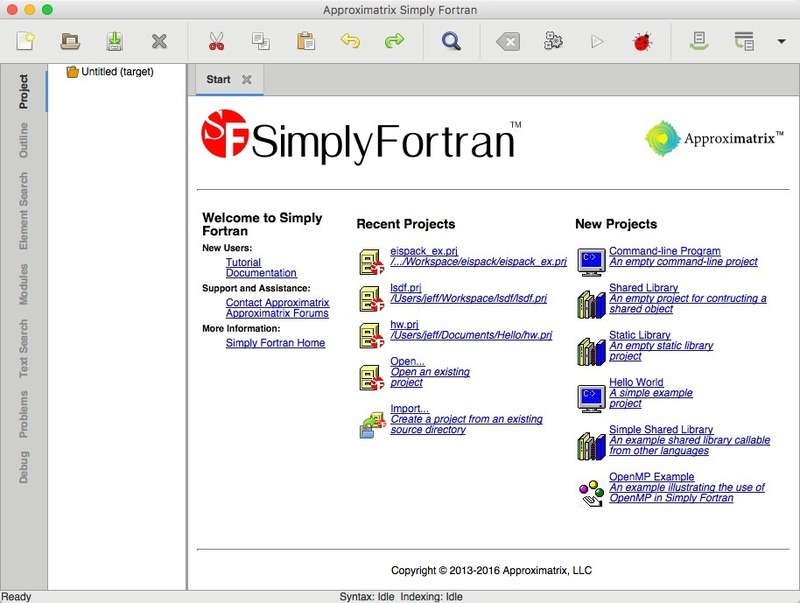 Simply Fortran's development environment brings the professional features to improve the Fortran developer's productivity whether working with legacy libraries bases or authoring new programs. Simply Fortran needs a review. Be the first to review this app and get the discussion started! Simply Fortran needs a rating. Be the first to rate this app and get the discussion started! Simply Fortran's development environment brings the professional features to improve the Fortran developer's productivity whether working with legacy libraries bases or authoring new programs. 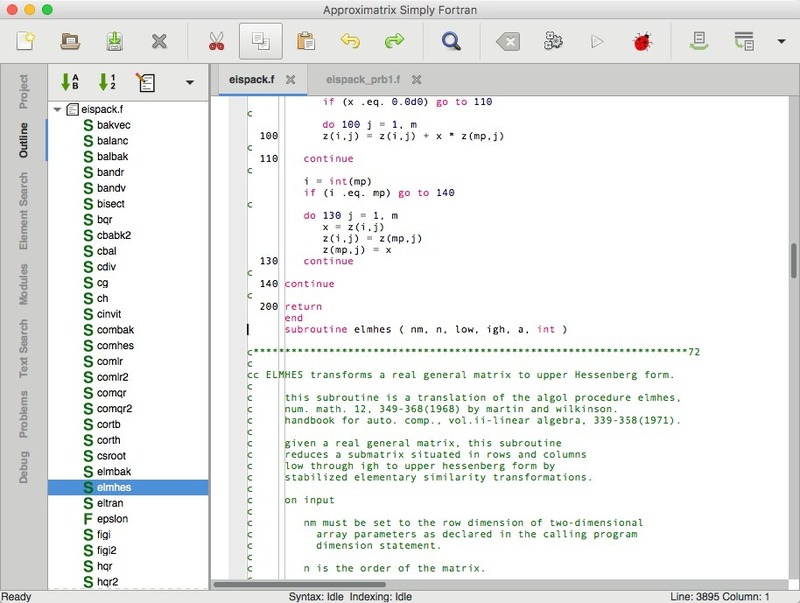 Having been designed for Fortran, the Simply Fortran editor provides sensible behavior when working with fixed-format Fortran source code, including Fortran-aware block indenting and commenting. The editor provides inline, real-time syntax information, highlighting potential problems as the developer types. The context-sensitive autocomplete feature proposes variables, subtroutines, and functions that are visible within the current scope. The development environment also makes managing large-scale projects easy. When working with modern Fortran, Simply Fortran will handle the calculation of module dependencies automatically, correctly compiling Fortran source files in the proper order. The development environment allows viewing a structural outline of the entire project, searching for specific Fortran modules, function, or subroutines, and automatically renaming Fortran components project-wide. Simply Fortran includes a fully configured installation of the GNU Fortran compiler. After installing Simply Fortran, there is nothing more necessary to begin compiling source code, and the developer need not ever use the command line (unless he or she prefers to do so). The compiler features compatibility with legacy Fortran source code as well as supporting all of the Fortran 90 and 95 standards and most of the Fortran 2003 and 2008 standards.